May is now coming to an end and it is time for me to write about the things that I have loved from the month gone by again. It doesn't seem long ago since I was writing about the things I loved in April, this month really has gone by so fast as we have had an amazing month. May used to be a month I dreaded as it is the anniversary of my mam's death, now May is a happy month as both myself and my brother have daughters born in May and this May was filled with lots of extra lovely things. So here are some of the things I have loved and that have made me happy this month. 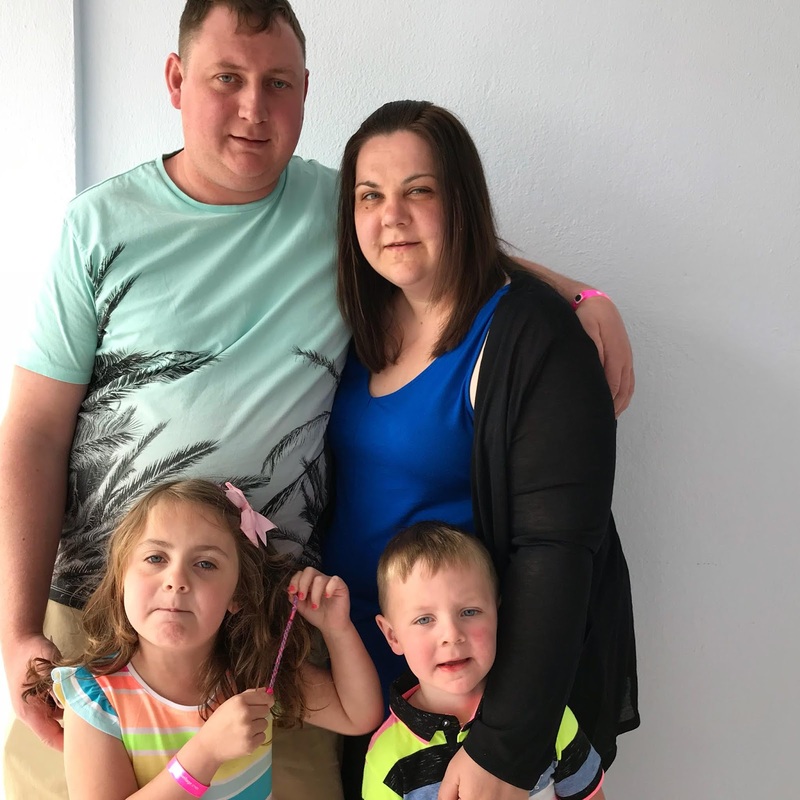 At the start of the month, we went on our very first family holiday abroad as a family of five. We went to Majorca and we had the best week, it was so nice spending time together as a family, enjoying the sunshine and having fun. We made memories that will last us a lifetime and all three children had the best time playing in the pools and on the beach every day. We have all well and truly caught the travel bug now and we are already planning our next trip. I adore Majorca, I visited as a teen and have always wanted to return so it was nice to return with my own children and teenager. 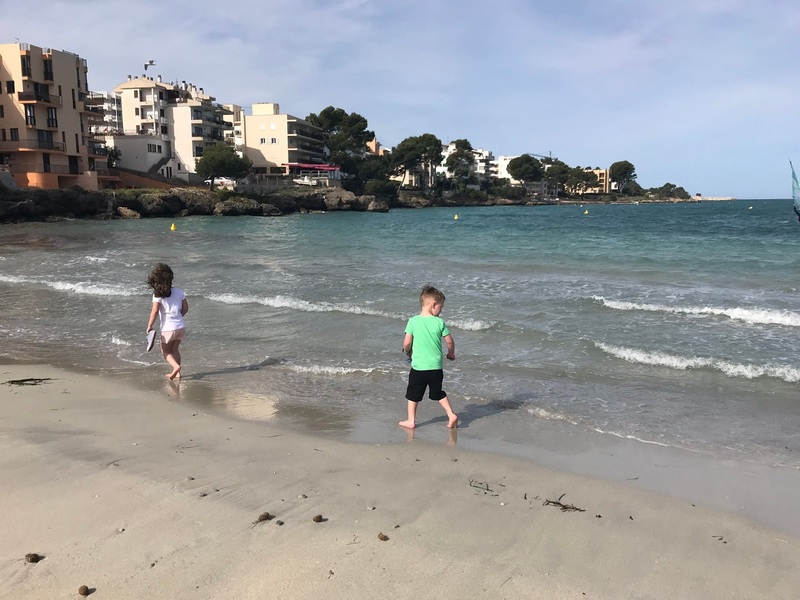 Majorca is such a great island for families as it is not too far to travel from the UK and the lovely sandy beaches and shallow, clear sea are perfect for paddling in. I think we will definitely be returning to the island in the future. 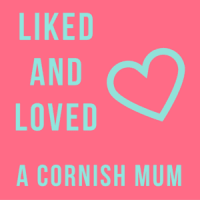 With our holiday and also half-term we have had a lot of family time this month which is always super lovely. I always cherish the moments that we spend together, all five of us as it doesn't happen very often these days now all the children are at school and nursery and the other half works shifts. A few days ago my youngest daughter turned five years old! Five seems so grown up and like a proper child. She was at school on her birthday but after school, we went out for a family meal to the local Italians so she could have pizza (her favourite). I can't believe how fast the last five years have gone by, she has changed and grown so much since starting school and we are all super proud of her. Last weekend Sophia had a party to celebrate her 5th birthday with her school friends. 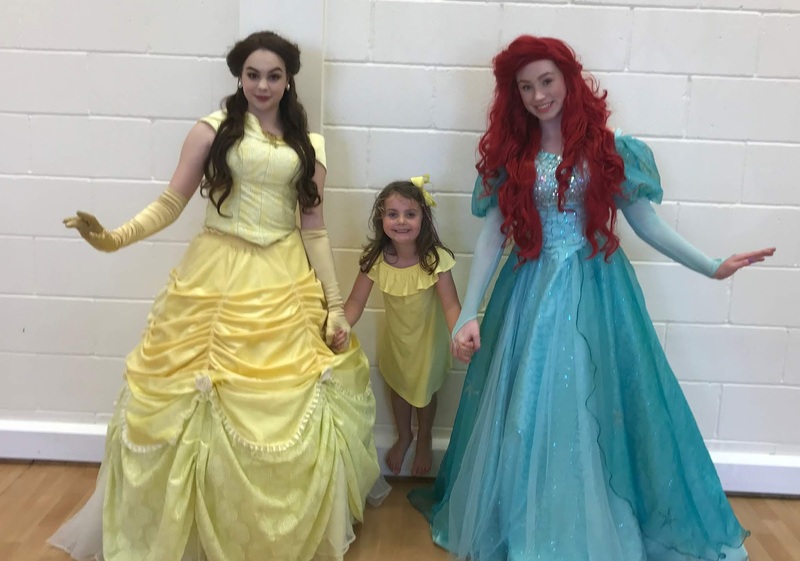 We booked the local hall and a bouncy castle and for Ariel and Belle to attend and entertain the children. Sophia had the best time, she loved being the centre of attention and she adored the princesses - especially Ariel who is her absolute favourite. It was lovely watching her enjoy herself and play with all of her school friends. The other half started a new job last week and fingers crossed it is going to work out much better for us as a family. He is still working for the same company but in a different department doing a totally different job. He will be working set shifts Monday-Friday which will be so much better for us as it means we can spend weekends together and have more family days out, plus he is earning a lot more than his previous job too. I am so late in watching The Greatest Showman as I never got around to watching it at the cinema when it came out. We recently watched it when it came out on Sky Cinema and I love it! I have watched it three times already as even Sophia loves it and sings along to the songs. If you haven't watched it yet then you really should. I recently watched Safe on Netflix which is a British show and at first, I wasn't keen but after the second episode I was hooked and binge watched it in a few days. 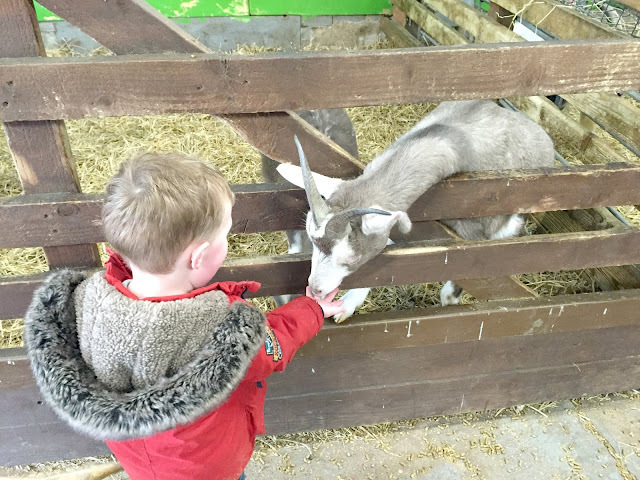 Jacob had a nursery trip to Whitehouse Farm this month and it was lovely to go with him and spend some time with him. He had a great day playing in the park with his friends, holding the rabbits and feeding the lambs. The highlight for him was feeding the goats, he is obsessed with the goats whenever we visit and always makes a beeline for them. I am now on countdown to our wedding day, just 13 months to go! This week we have sat down and planned everything, we already have most of the suppliers booked but we have been looking at all the little finishing touches like decor ideas, flowers, music, food choices etc. Now it is just a year away I am starting to get excited and really enjoy wedding planning. So those are some of the things that have made me happy this month. May has been an amazing month for us, we had a wonderful holiday, celebrated our little girls birthday, made so many memories and the other half bagged himself a new job that will be much better for us as a family. How was your May? Happy belated birthday to your little girl! It sounds like you had a lovely time away, I can't wait to get away again when we can afford it. Something relaxing about breaking the routine and getting away from home for a while!